When we hear the term “smart-home,” we imagine a house that is extremely techie and has automation and gadgets around every corner. However, smart-home technology is much more accessible and affordable than you may think. Circling back to the idea that a smart-home is something with technology beyond normalcy, you can actually make smart upgrades that, on the surface, aren’t even noticeable! LED light bulbs are a modern and eco-friendly alternative to all other types of bulbs and can use up to 80% less energy in comparison. LED lighting produces light in a way that doesn’t use and waste as much electrical energy, thus making energy bills less expensive just from being installed. And, they don’t cost exponentially more than incandescent and fluorescent lights, making them a great quick upgrade to sell your home. Technology, nowadays, is a solution to concerns over pollution and climate change. Alongside LED bulbs, automated thermostats reduce the amount of energy that is wasted in a home. Many heaters and air conditioners run either until they are manually shut off or until they reach a set time limit. Automated thermostats control how long a unit runs for by shutting off and turning on based on the temperature that you set them to. Basically, once the room reaches a specific temperature, the unit turns off, saving both energy and money at the same time. There will likely never be a point in time when home security isn’t a priority. 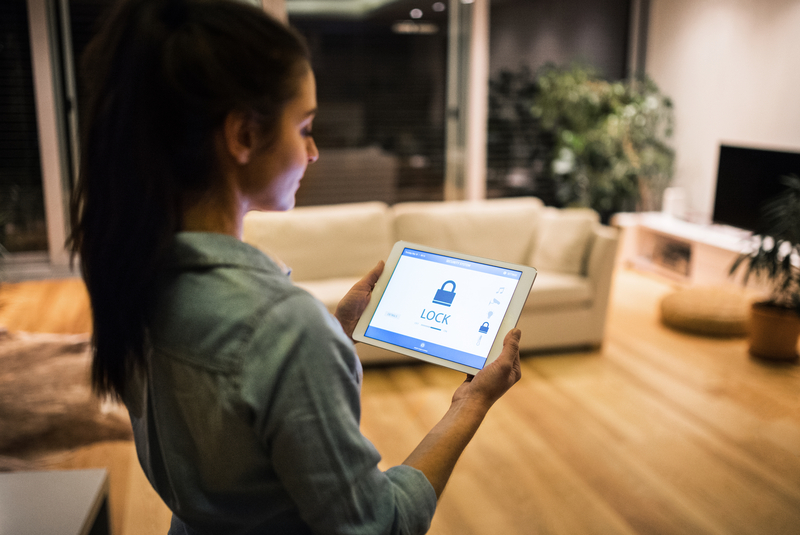 Luckily, as new advances in tech come out, the ways in which we are able to secure our homes are becoming more innovative and even less expensive. A lot of these modern systems include cameras that connect to cloud based software, meaning that you can access footage just by opening up an app on your smartphone. And, security upgrades will always be an incentive for those looking to purchase a home. Something that isn’t as practical as the previously mentioned upgrades, but is nonetheless a worthwhile upgrade, is an automated soundsystem. This can be something as small as an Amazon Echo or something that connects to your television system. A lot of advice out there on how to sell a house will tell you to make your home stand out. This is a sure way to do so! Technology affects many facets of our lives, and it can be an excellent way to streamline the home selling process and help you sell your home for a high value. Mila is always on the lookout to both promote the accessibility of useful technology and help people from around the globe understand how to navigate new editions, especially when it comes to something as tricky as real estate!